Nowadays academies are regarded as professional businesses in their own right and the importance of having a top quality and up to date academy website has never been greater. Designing a website for an academy requires special attention to the regulations set by the government and inspected by Ofsted to ensure your website is fully compliant and future proofed. ​Ofsted takes a keen interest in an academies website and they have a strict framework for essential content and usability guidelines. They will actually read your website in full before inspections to gather as much information about your academy as possible. In fact under the current Ofsted protocol for briefer inspections approximately 90% of all the information the inspectors are interested in will be expected to be clearly and easily assessible via your website. 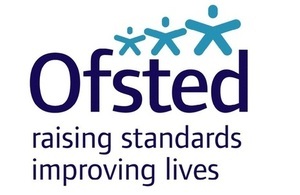 ​Your website will be scrutinised by Ofsted approximately two weeks prior to your inspection date. There is a specific and complex list of requirements governing what information should be published online via your academies website. It is important that this information is presented in a simple and straightforward manner so that it is easy to access on the the site by any visitor. The regulations are changing rapidly as the Government regulations regarding the running of academies evolves. In order to ensure you comply with the latest standard we recommend consult the UK Government's official site. We build professional user friendly academy websites, once completed all our academies have access to our very easy and intuitive self editing platform, so they can always keep their site up to date and add any number of pages or content from the comfort of their workplace or home. Many academies use template website designs which look like friendly fun sites for children with pencil image menu's and over complicated illustrated designs. Sadly they all too often end up looking messy and disorganised, with key information either lost or difficult to find. These sites miss the fundamental point that most visitors / stakeholders to a academies website are actually adults looking for factual information about the academy. We build academy websites with simple clear navigation and design, so that visitors can find the information they are looking for quickly and easily. We also build in great functionality like learning zones for children, simple integrated calendars for events and HD video / audio and social media so your site is dynamic and engaging from day one. Your school website is a representation of your school to the outside world and it needs to project the right image and engage with your visitors so that they come to rely on it for high quality information at all times. We also offer unlimited support so that if you get stuck with anything we will either teach you how to do it or quite happily make the updates on your behalf for no additional cost, for the lifetime of your site. At Uedit we have over 10 years experience in building quality websites using the latest technology. We can build you a site for your academy which complies with the latest Ofsted requirements, while being appealing and very user friendly for your audience. You will have complete control over the site it will never go out of date. We are based in the Kendal area of the South Lakes and build websites for schools and companies based anywhere in the UK offering full telephone and email support 365 days a year.